A man has suffered potentially life-threatening injuries following a crash involving a Massey Ferguson tractor. Police were called to the A30 at around 9.45am today (February 27) to reports of a crash near Bodmin. The crash involved a Peugeot van and a Massey Ferguson tractor with trailer, which was carrying livestock. A spokesman for Devon and Cornwall Police said: "Police are appealing for witnesses following a serious collision on Tuesday, February 27. "Police were called at around 9.45am to reports of a collision involving a Peugeot van and a Massey tractor with trailer carrying livestock on the A30 near Bodmin. 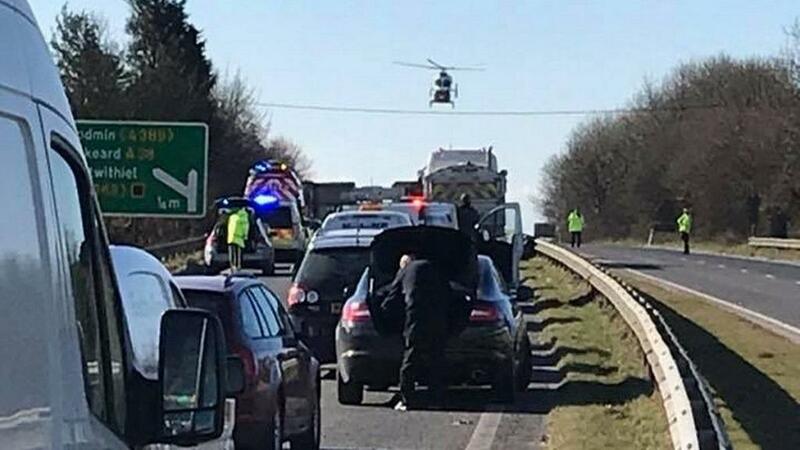 "Emergency services attended the scene and the road was closed in both directions. "One man is believed to have suffered serious, possibly life-threatening injuries. "The cattle in the trailer were uninjured. "Anyone who witnessed the incident is asked to contact police via email on 101@dc.police.uk, quoting log 143 of February 27." The crash follows two similar incidents over the weekend involving tractors. One person died and another two were left fighting for their life.